Our Mission: We help our clients best live the one life they have. Your Money - Your Future. We want to help! Jon Jaques, CPA is celebrating twenty-five years of service to Murfreesboro and the Middle Tennessee area businesses and individuals. Specializing in personal client attention and a family-style atmosphere, our office has grown into a full service provider of accounting, tax and wealth solutions. We are your choice if you want personal service! Jon is a dynamic speaker and has written on many financial topics ranging from the finances of college students, church and ministerial accounting, and wealth planning. Our clients enjoy frequent articles on the economy, the debate over Social Security, retirement planning, the ever-changing tax landscape and the future. Jon is active in many community and charitable causes, including ten years as treasurer of a volunteer fire department, past treasurer of his church, past National Treasurer of the United States Submarine Veterans, and just completed serving as National Senior Vice Commander of the United States Submarine Veterans, a nationally recognized veterans organization (www.ussvi.org). We can now save you the hassle of purchasing tax software to prepare your own return. Our software vendor has the highest level security and does not harvest data from your return to sell to others! You can prepare, print and file your return online for just $44.95! 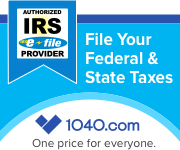 If you have a Form 1040EZ it is FREE! Jon's new children's book, The Two-Tone Frog, is now available on Amazon.com. This cute book was illustrated by Mr. Norris Hall, see www.norrishall.com for more of his awesome work. Jon was recently mentioned in the new book, Undersea Warrior (dedication, pages 293-294, photo credit) by Don Keith. Jon was recently mentioned in the new book, War Beneath the Waves (pages 251-252) by Don Keith. 03/15/2018 - Corporate Tax Returns are due. 04/15/2018 - Personal Tax Returns are due. Last day to make a 2017 tax-year IRA contribution.